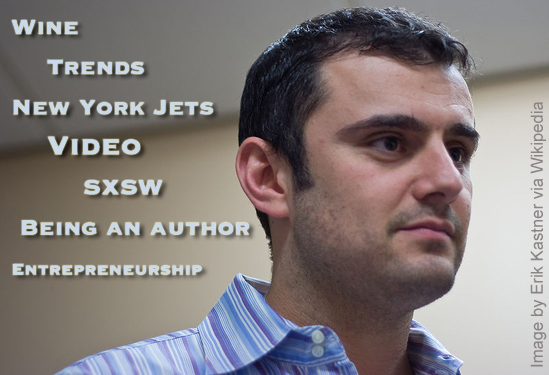 Gary Vaynerchuk threw out the idea of interviewing a person per day in 2013. What would we talk about if he chose me? So here I am with the last podcast of the year. I’m getting on a plane in 19 hours, I need to crank out one more show, and I need a topic. I was thinking about a way to talk about trends. Through social media, I saw a post that Gary Vaynerchuk was thinking about interviewing a different person every day of 2013 to have fun and support up and coming blogs. He then asked what people’s favorite interview shows were, and I saw that my favorite blog, Smart Passive Income, might already be happening. So, in an effort to give my readers some trends, and perhaps get Gary’s attention, here are some topics that might be interesting. First off, I’d love to view this as a conversation, not an interview. Since I’ve had 60 or 70 people on my podcast myself, I know that the best ones are just kicking back with someone interesting and telling stories. The ones I’ve liked the least have been press-style interviews where I feel like I’m talking to a PR rep. While I certainly know of Gary, have heard him speak several times, have read his book Crush It, and have exchanged a few tweets, the first thing I would do is a lot of research to be exceptionally prepared. Ten things I’d like to discuss. The first thing I would talk about is how I can bring value to HIS audience. What is on their mind these days? What are they following online? What intrigues them? How do they best respond to him? In other words, I’d find out what his CUSTOMERS are interested in, and go from there. If I spoke with him in the first 5 weeks of the year, I’d have to talk NFL playoffs and the Super Bowl. Since I’ve lived and breathed sports my entire life, to the point where I worked at ESPN for 8 years, I have no fear in holding my own. What is the benefit for people to have BIG goals in life? 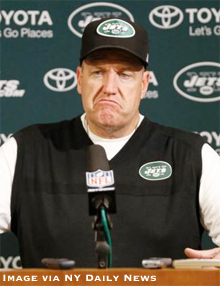 How has his lifelong goal of owning the Jets motivated him? I think for both of us, it’s that we come into a room with more optimism and energy than the next person. That is our unfair advantage. Where does his come from? I’ve spoken to about 100 people in a small room at SXSW. He’s done the keynote to probably 1,000, and also has spoken around the country. I’d love to pick his brain to find out the path that led him to larger and larger venues, and what he has learned along the way. I’d also like to get his take on the future of SXSW. Same thing here. We’ve both published books. I’ve done 1 to modest success. He’s done several that have made it to the top of the charts. What has he learned, and does he have another book in him? How will the eBook revolution play out? Also, I’d love to talk about my passion for helping people negotiate and how to get paid what they’re worth. When you put out a book that truly helps people, and they write to you to say that, it’s a pretty awesome experience. C’mon, you can’t talk to Gary Vaynerchuk and not talk wine. I’m sure he meets thousands of people like me… someone that likes wine a lot, but doesn’t know everything about it. What are the few key things that every wine fan needs to know? This is a topic I might do a whole show on, and since I’d be in this position, I’d love to hear his thoughts. I’ve been able to interview a few people that I would say are “above my head.” The biggest person would be Adam Carolla, with others like Julia Allison, The Gregory Brothers, and various authors and executives mixed in. And it’s been great to speak informally with people like Tim Ferriss, Pat Flynn, and Jay Van Orden. I’ve also been on the other end, where a totally random person just starting out has been shocked that I’ve responded to an email and have been more than happy to help them with their projects. It could be a listener to the show, a junior at my alma mater, or a former student from one of my classes. Turns out it’s really not that big a deal, but most people never try it. I feel video is going to be the #1 trend of 2013, and Gary has done thousands of them. As someone that has harnessed the power of video for years, what has he learned, and what is coming next? As a new entrepreneur, I’d love to get advice on running my business. Gary is an advisor to several companies. What do they have in common, and how can people learn from what they’re doing? How about a different take? I’m putting together a pretty solid case study with a lot of great information that I plan on sharing with as many blogs and shows as I can in early 2013. It has to do with the future of college, career development trends, the use of online video, and online learning. I’d love to share it with his audience. That’s it. I think we’re cut from the same cloth, and it would be a thrill to sit down with Gary. What about you? What if you could be interviewed by anyone out there? What would you talk about? Don’t just dream it, take action to make it happen. Sponsor Message: Freshbooks Fresh Take of the Week: Money. I won’t go into it too deeply, but take a moment to think about how you view money. Is it a good thing? A bad thing? Hmmm. One thing I know for sure, is that when I use Freshbooks to manage my billing, it gives me an added level of confidence in dealing with clients, so if you don’t have that yet, think about it. This entry was posted on Saturday, December 29th, 2012 at 3:00 am and is filed under Branding / Advertising, New York City, Pop Culture / Entertainment, Twitter, Workplace Trends. You can follow any responses to this entry through the RSS 2.0 feed. Both comments and pings are currently closed.